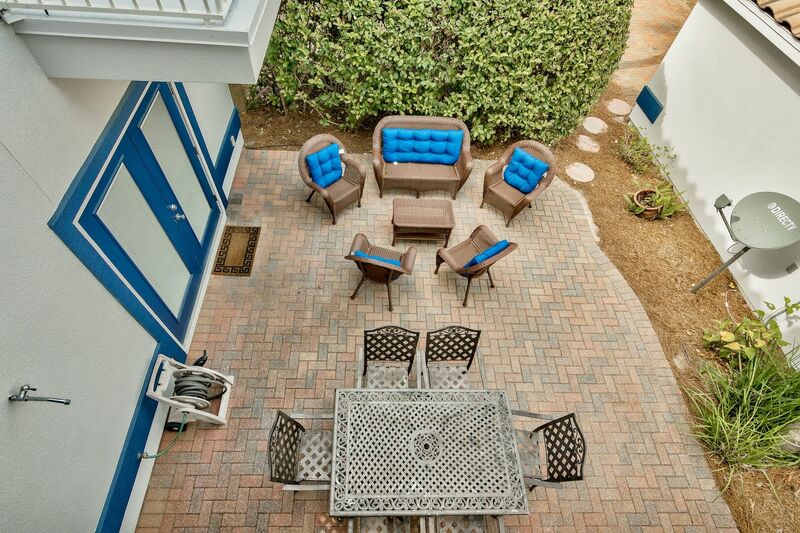 Bring your family reunions, large gathering of friends or corporate retreats to Gust of Sun I and Gust of Sun II! 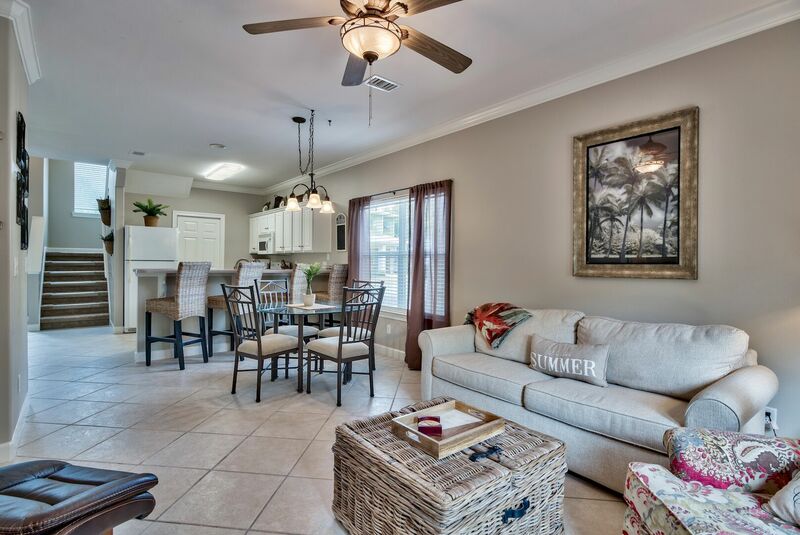 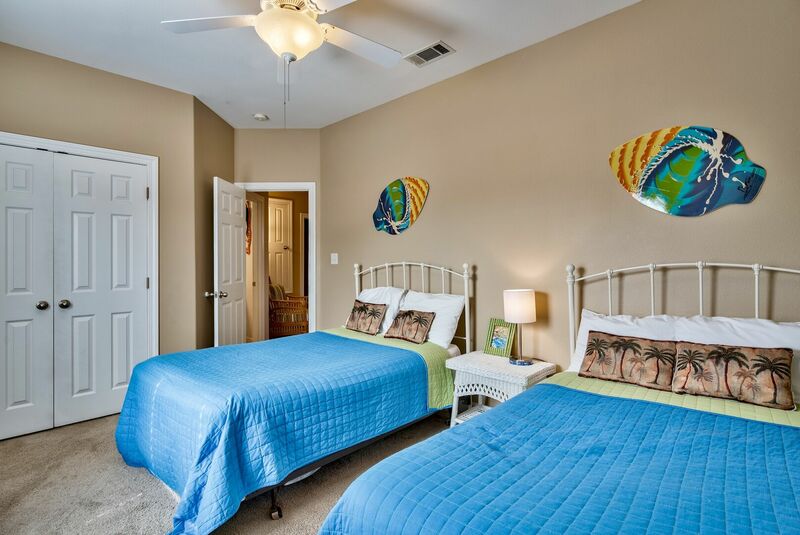 These are side by side private homes in Miramar Beach, FL that together will sleep 20. 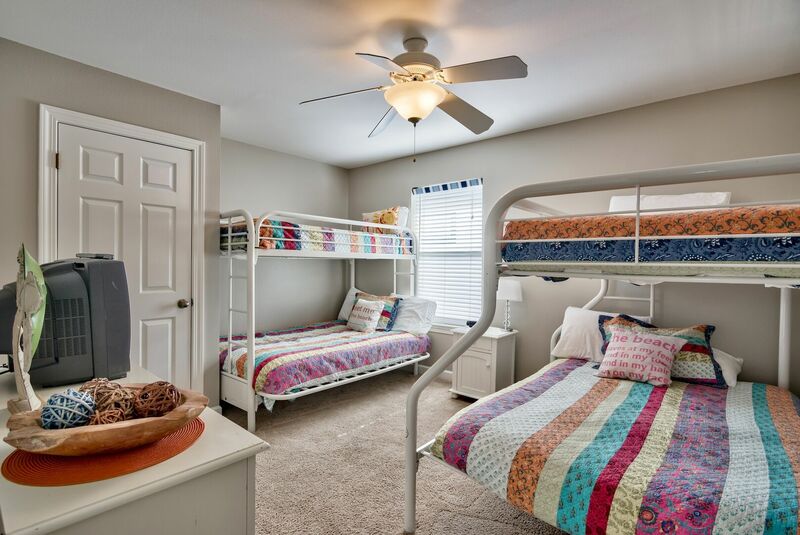 Renting two homes side by side gives you the freedom to have more space to spread out and come together without leaving the comforts of your accommodations. 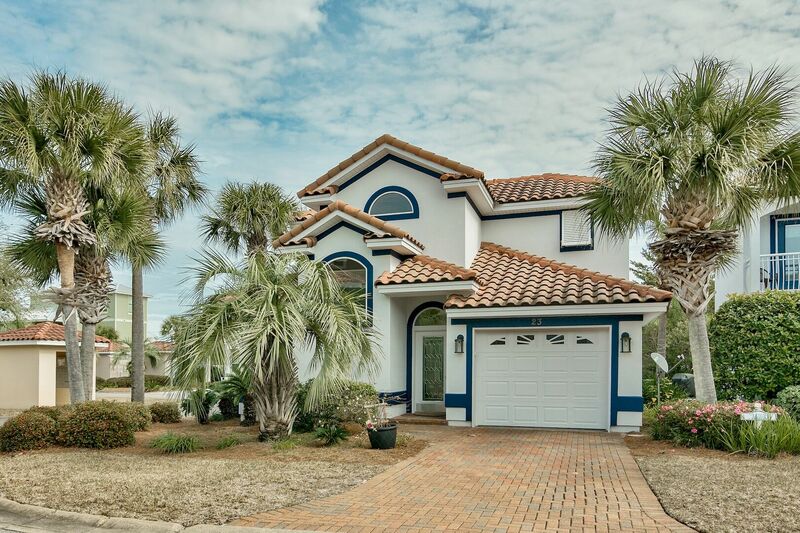 Gust of Sun #2 is a beautiful home that boasts four bedrooms, three and one half bathrooms, and a spacious outdoor living area. 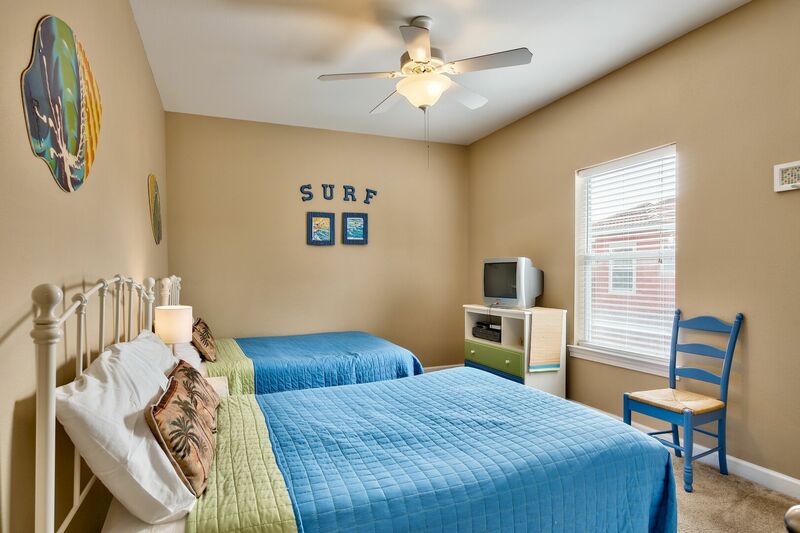 Gust of Sun II easily accommodates up to ten guests. 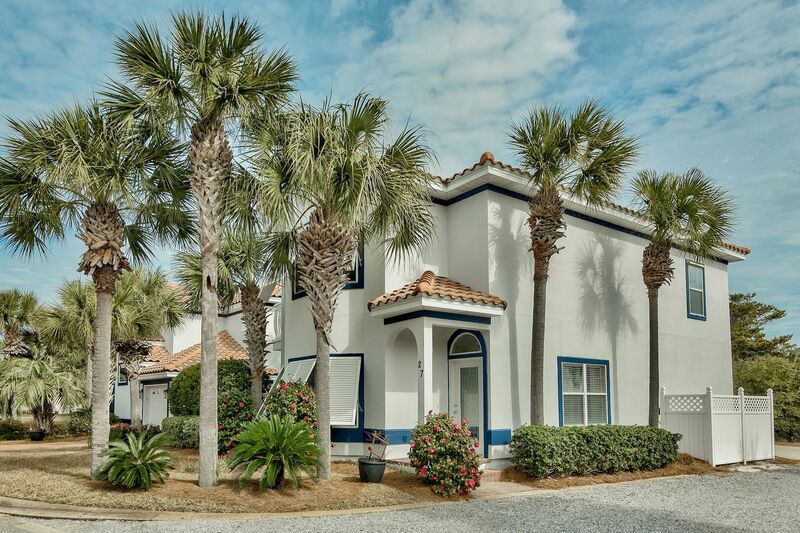 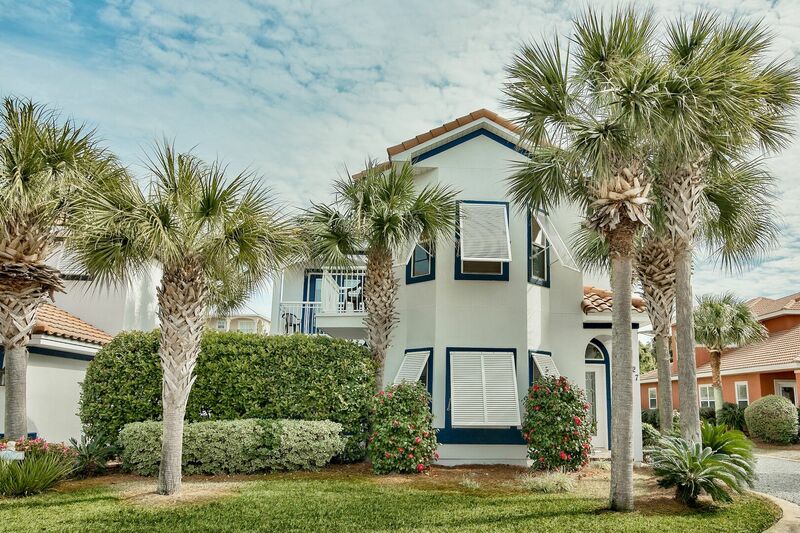 As you walk up to Gust of Sun II, you'll immediately notice the towering palm trees surrounding the estate, giving the home a beachy tropical atmosphere. 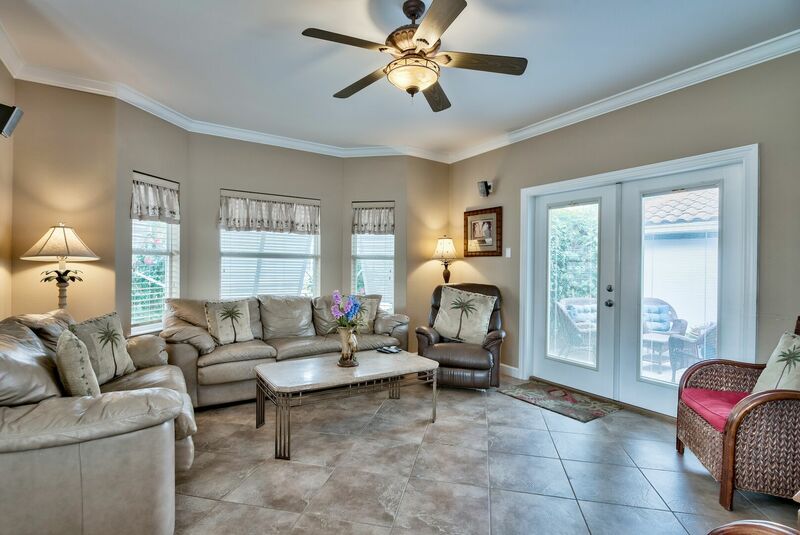 In addition, the paved driveway adds an extra touch of elegance to the home. 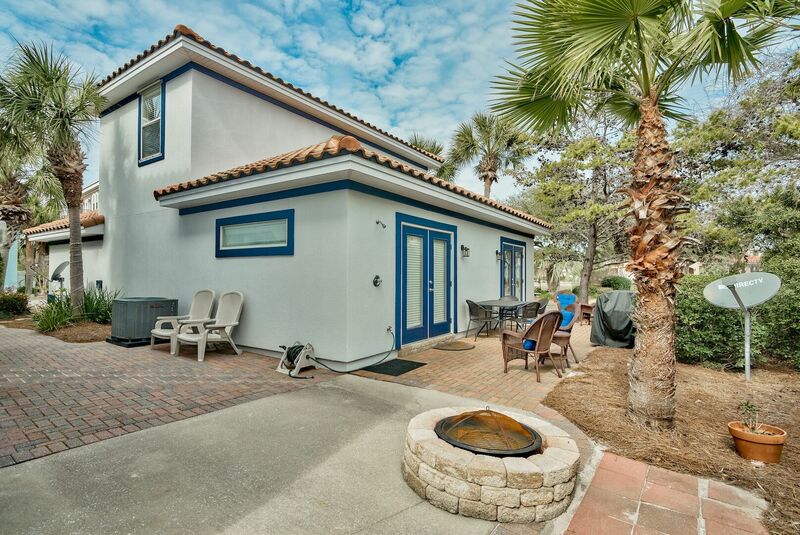 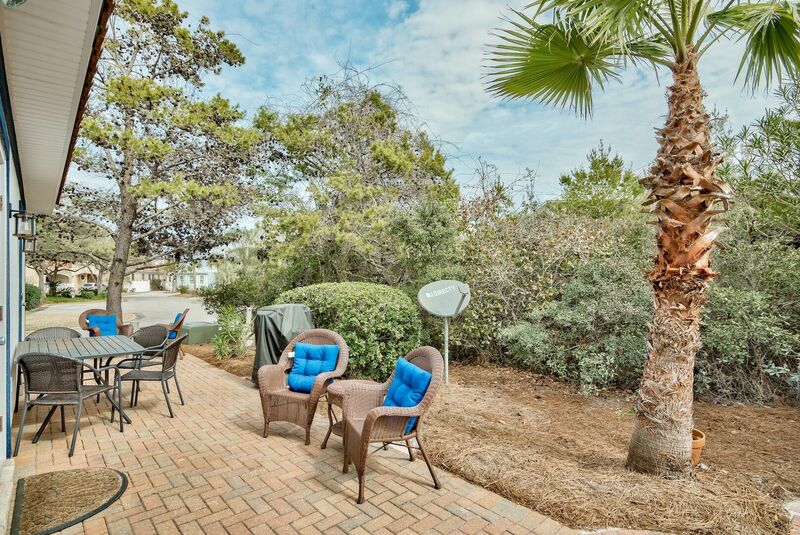 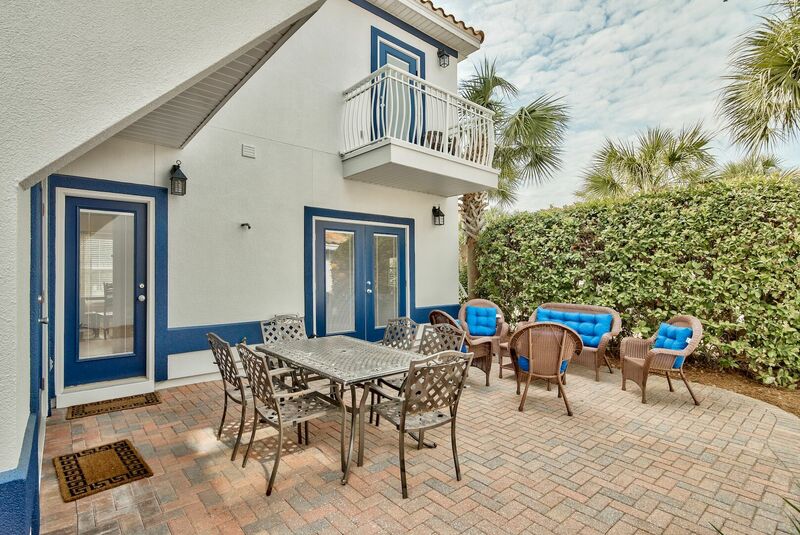 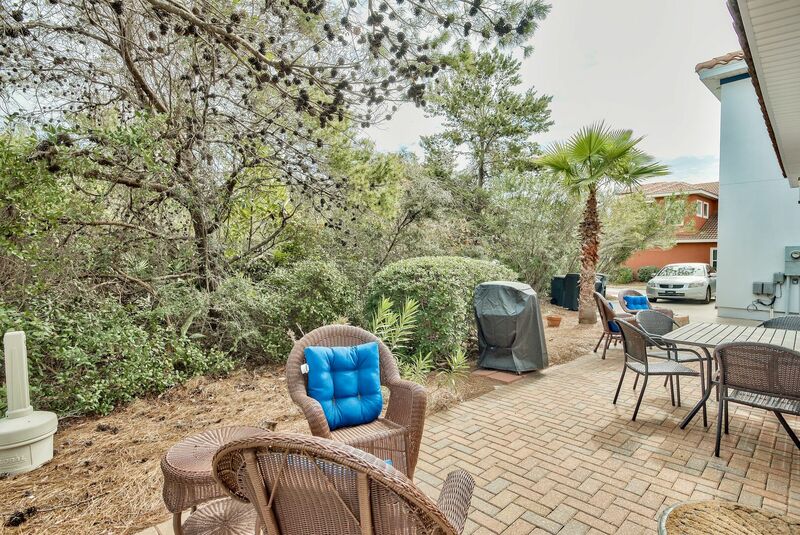 The backyard boasts a brick paved deck, a large private patio, and an adjoining fire pit. 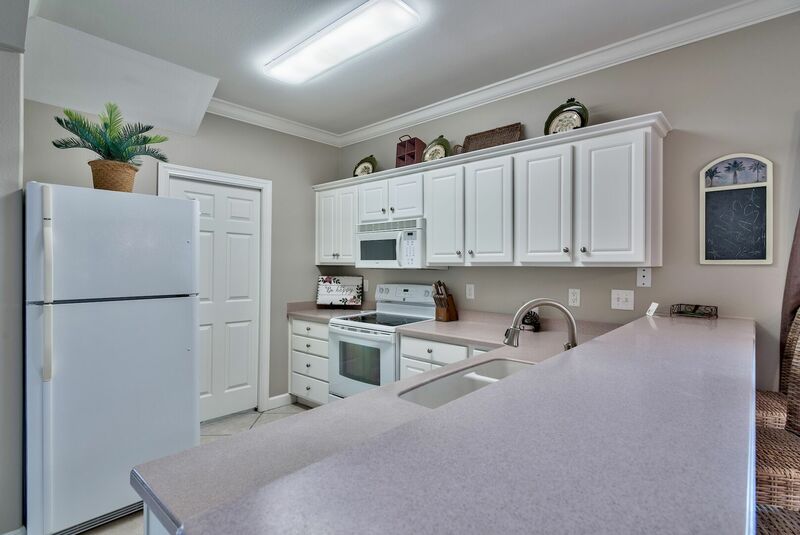 The interior features luxurious finishes, decor, and appliances. 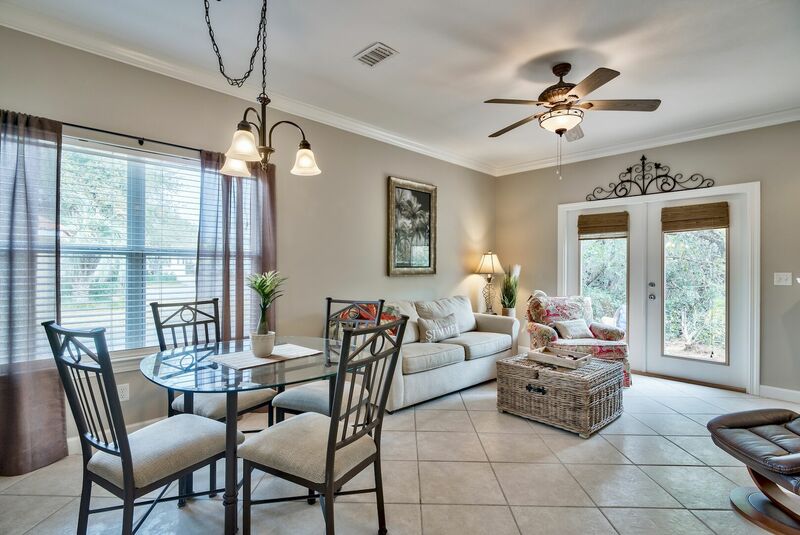 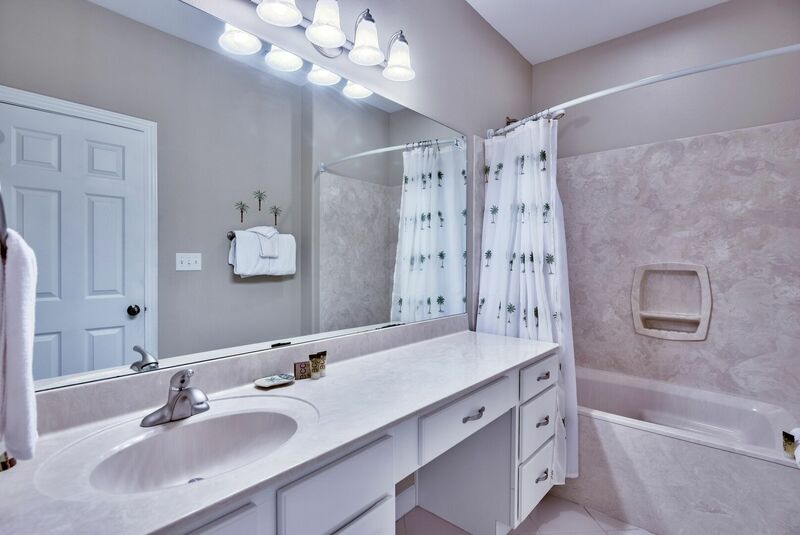 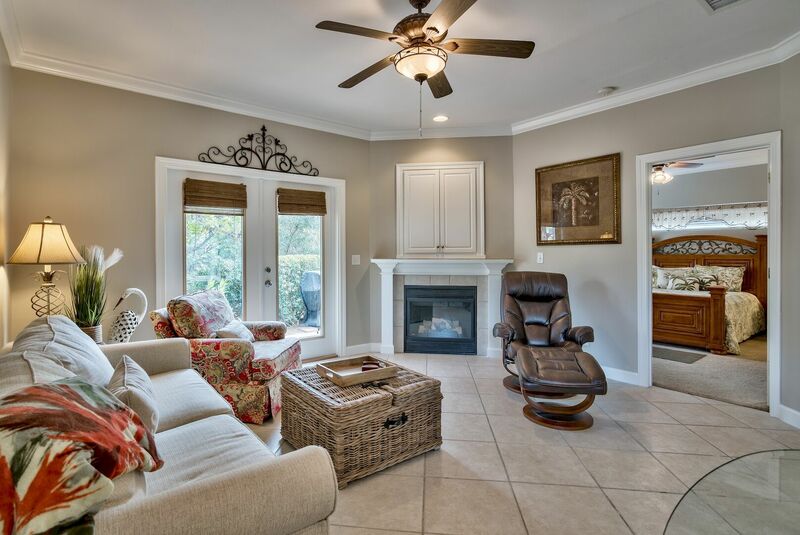 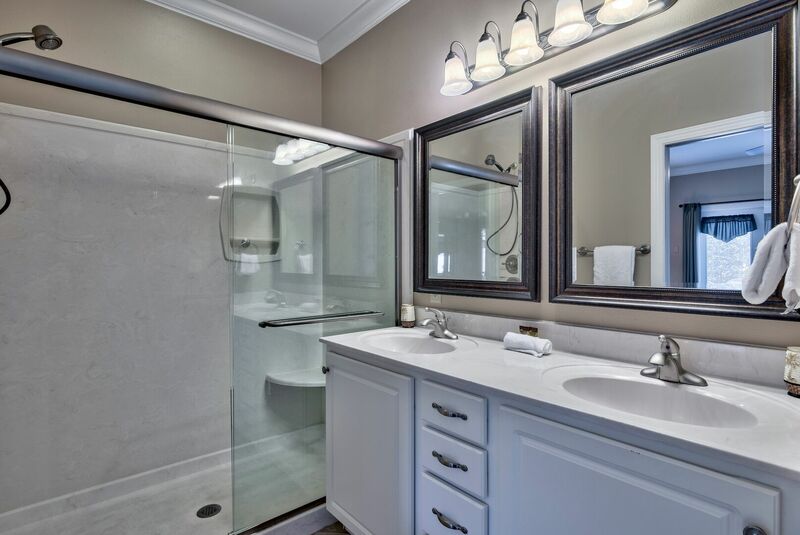 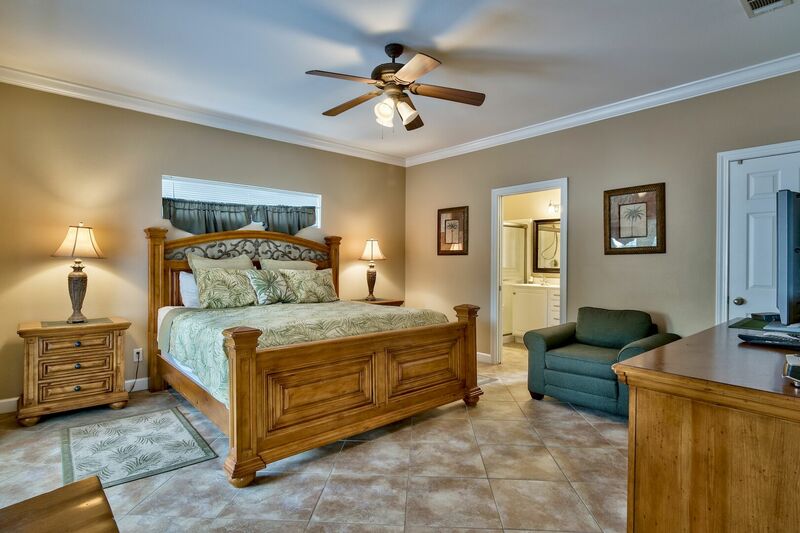 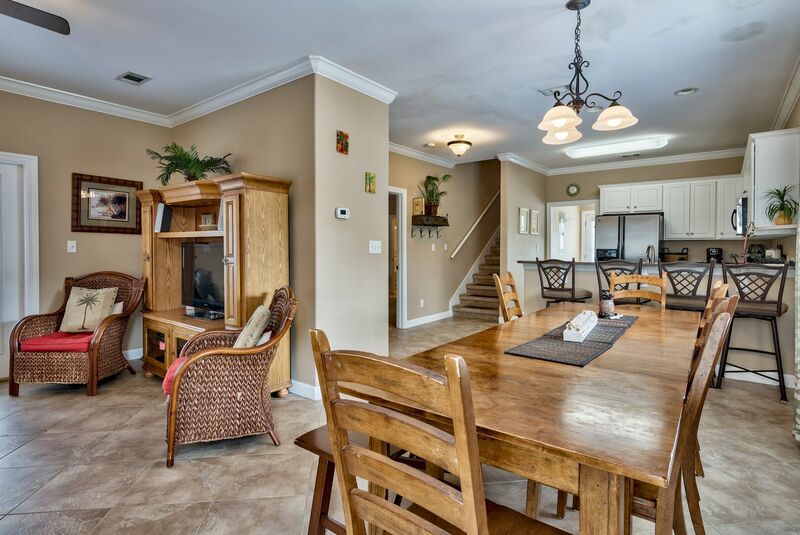 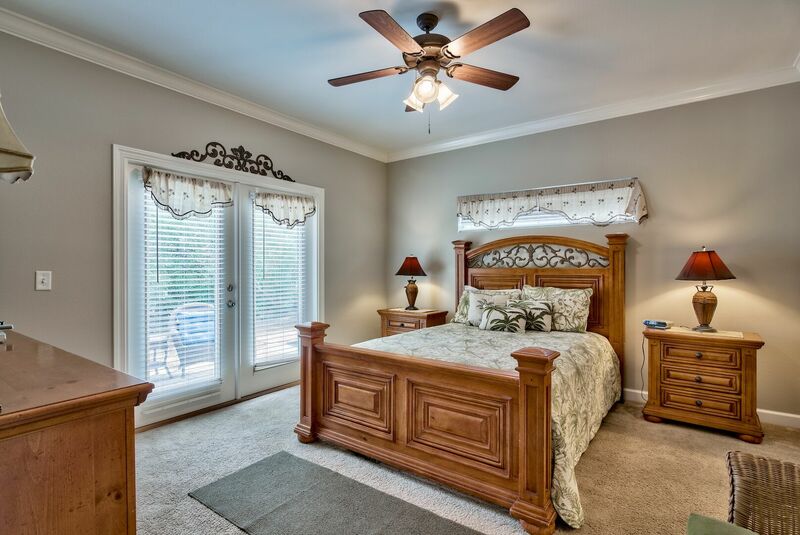 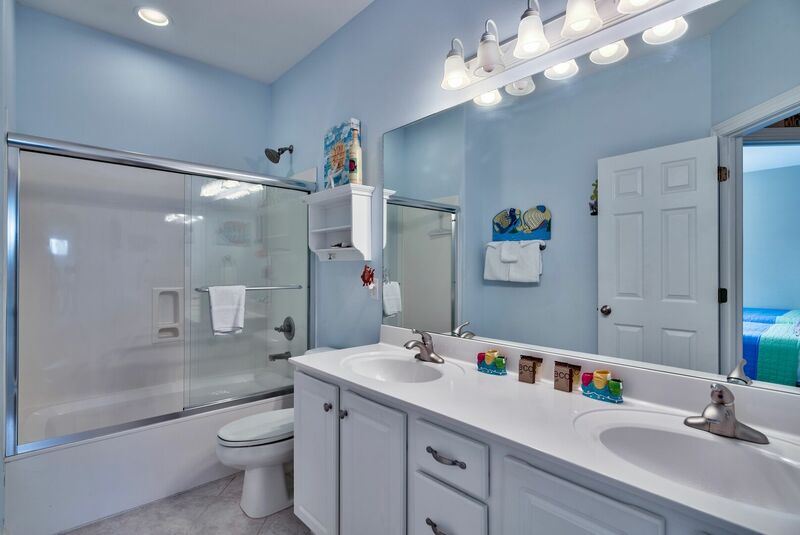 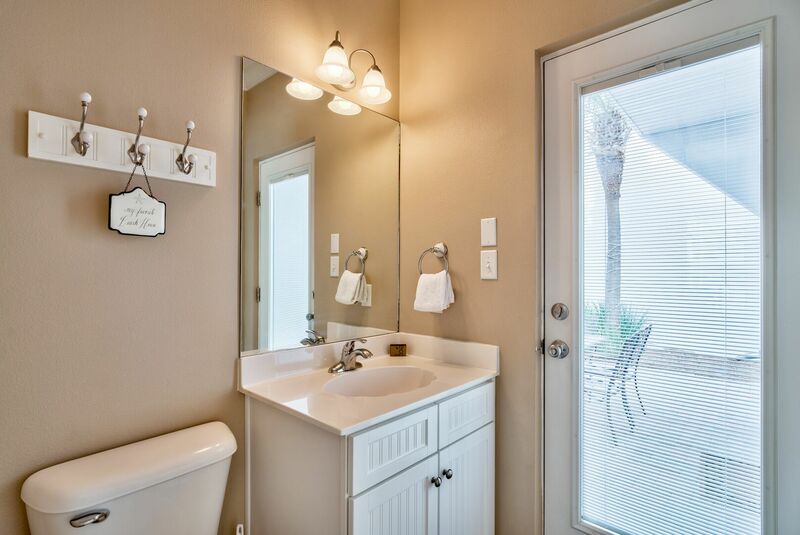 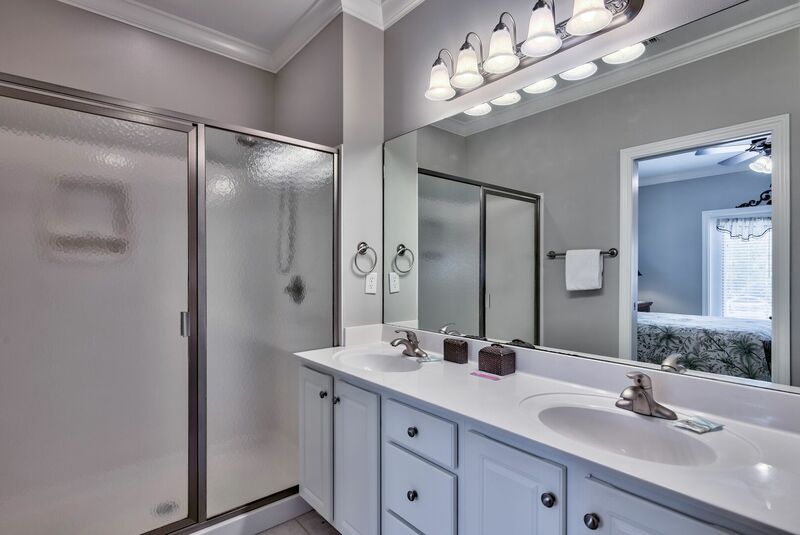 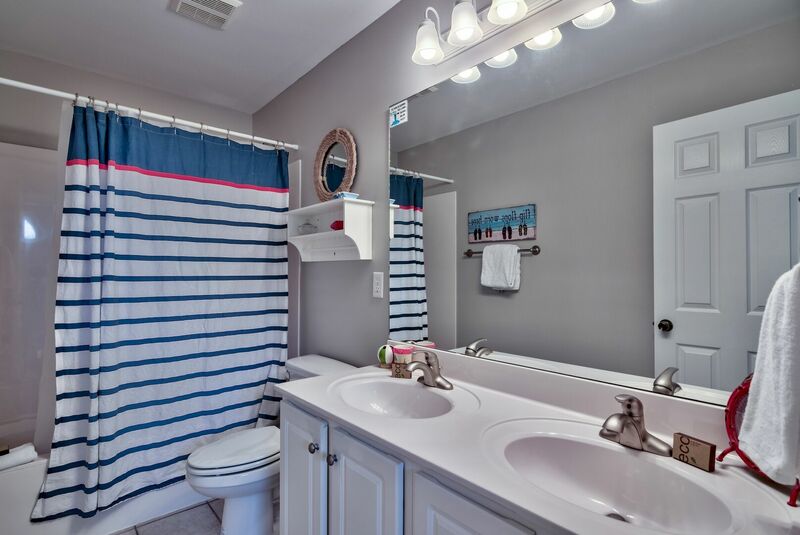 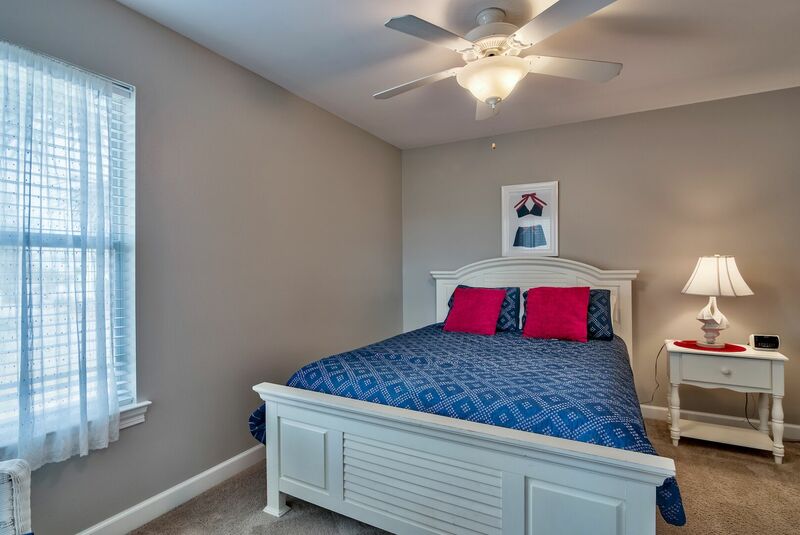 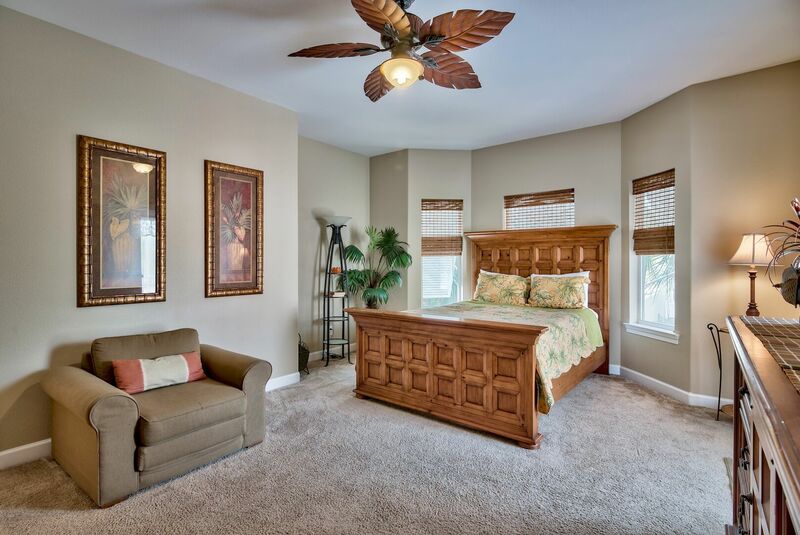 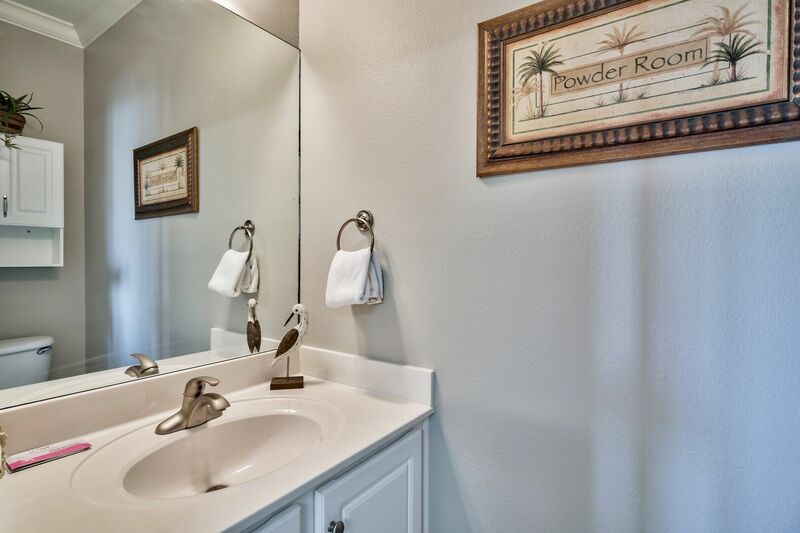 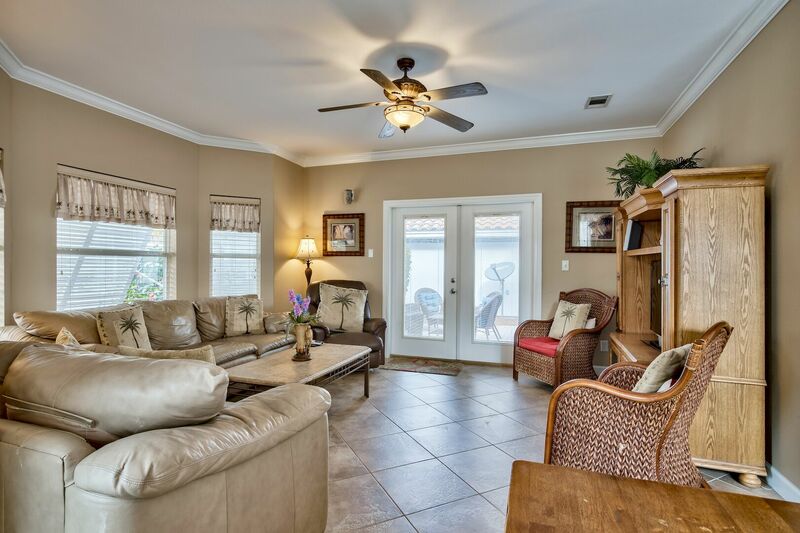 Throughout the home, you'll find tiled flooring, crown molding, and vaulted ceilings. 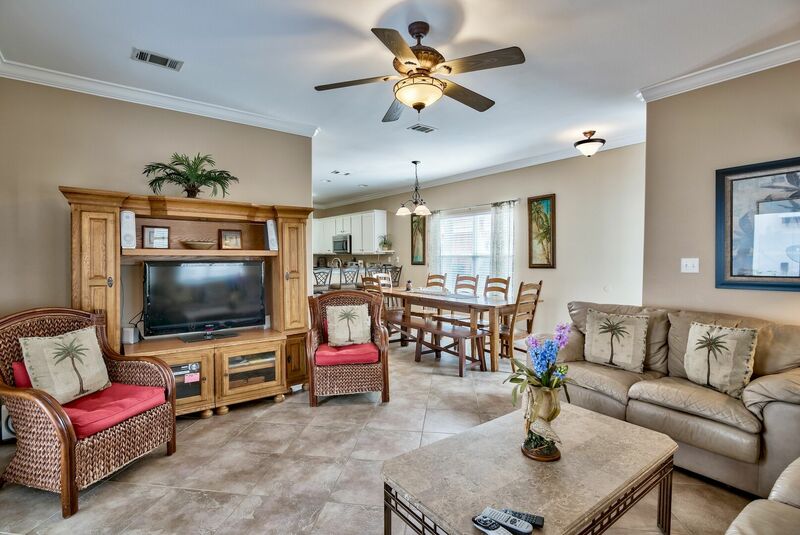 Gust of Sun II has an open concept floor-plan making entertaining a breeze. 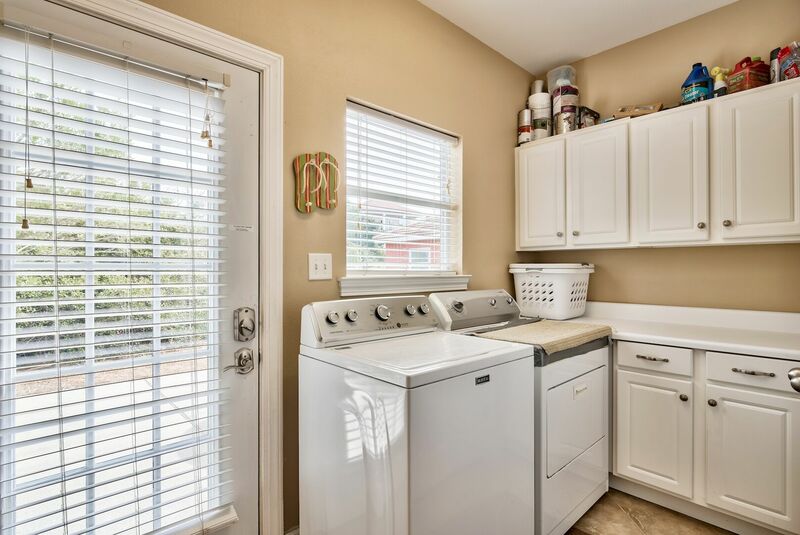 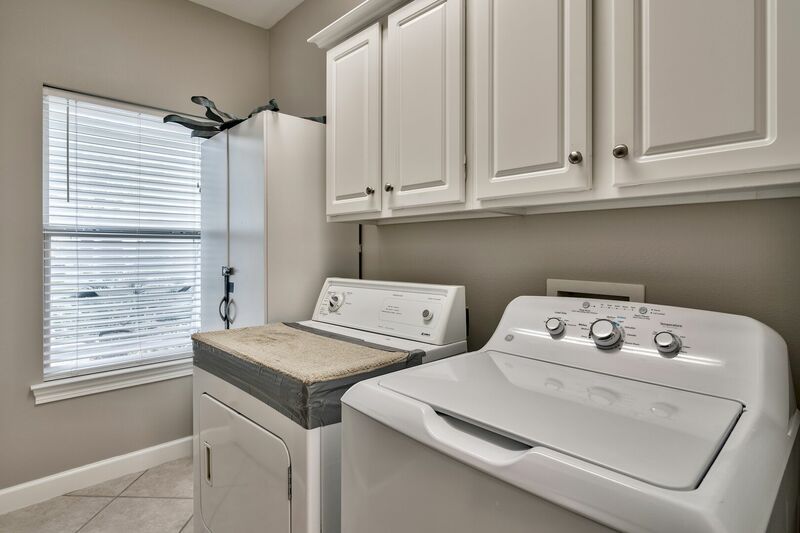 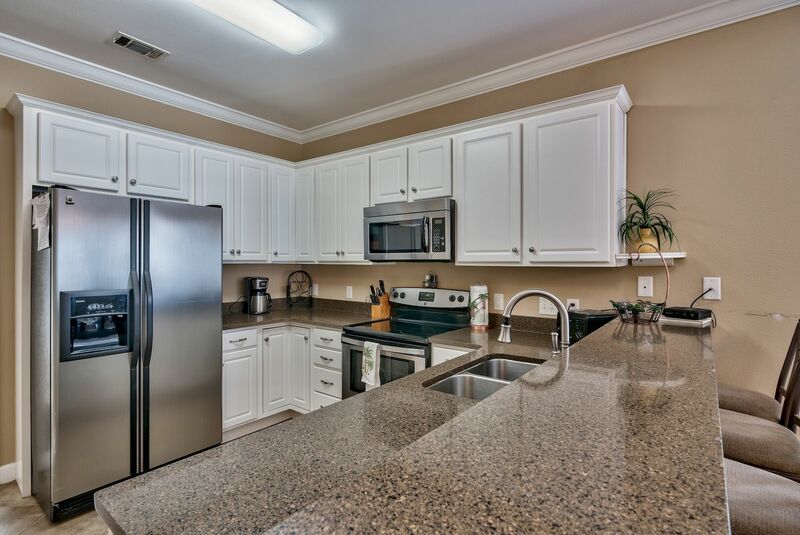 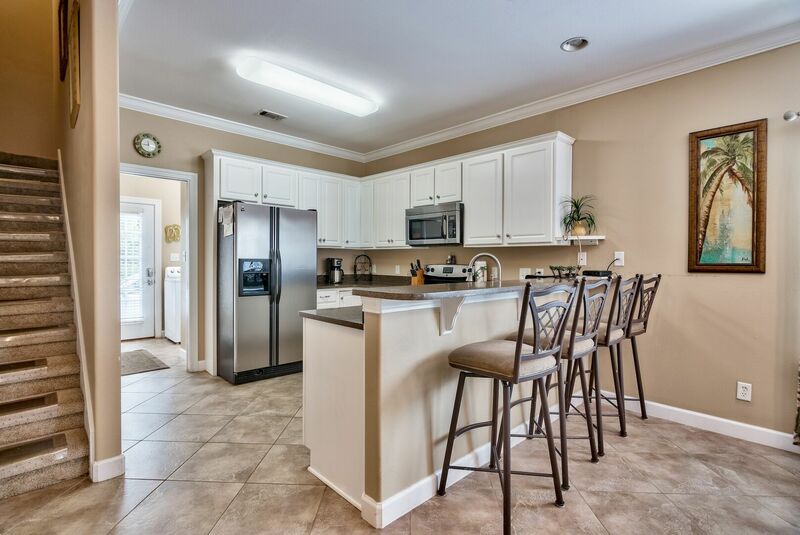 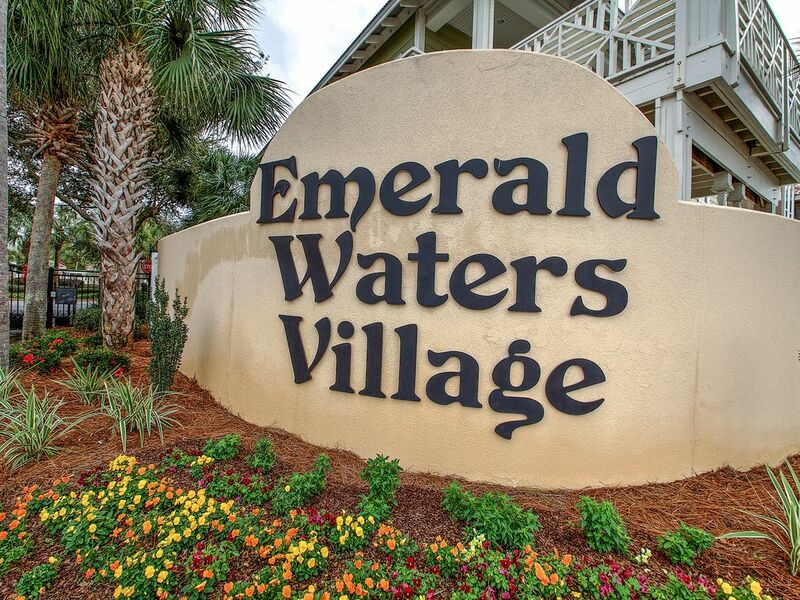 The kitchen has stunning granite countertops and stainless steel appliances. 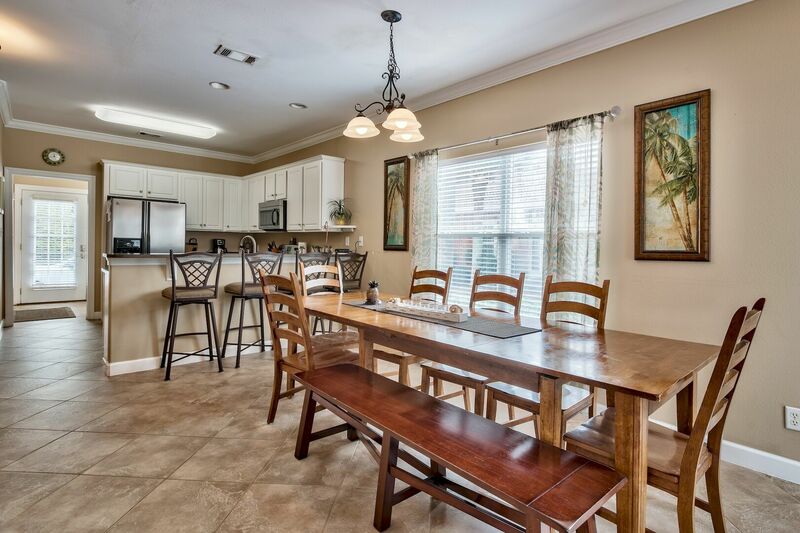 Off of the gourmet kitchen, you'll find a formal dining area seating up to eight people. 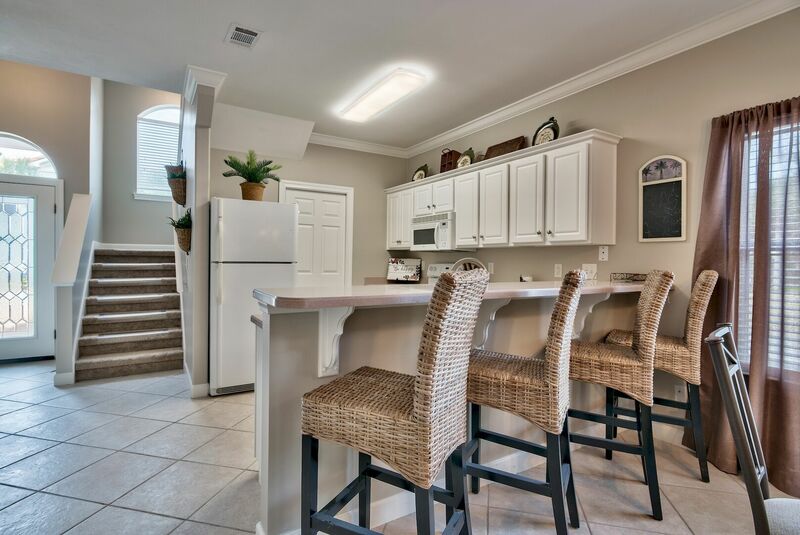 The kitchen has additional seating at the breakfast bar as well. 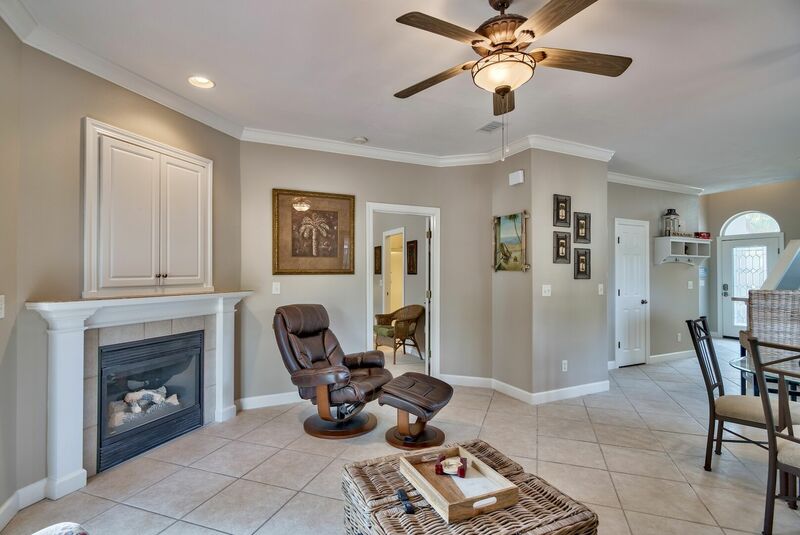 In addition to the formal dining area and kitchen, the main level also boasts a living area complete with leather seating, a fireplace, and flat screen TV. 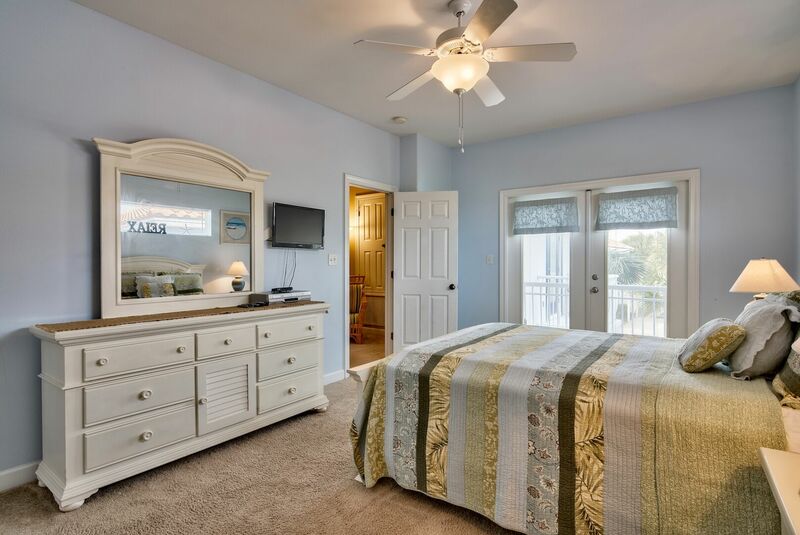 The luxury accommodations continue on the second floor of this vacation home. 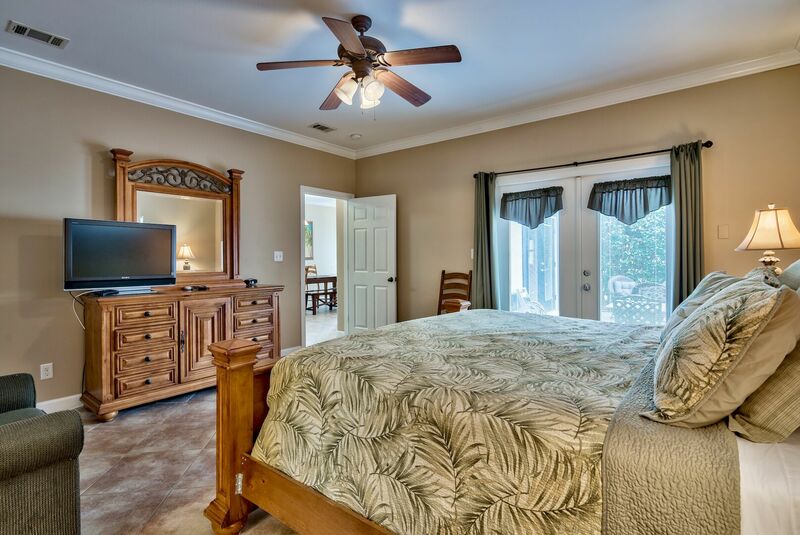 The second floor hosts a queen master with en suite bathroom, an additional queen bedroom and a bedroom with two full beds. 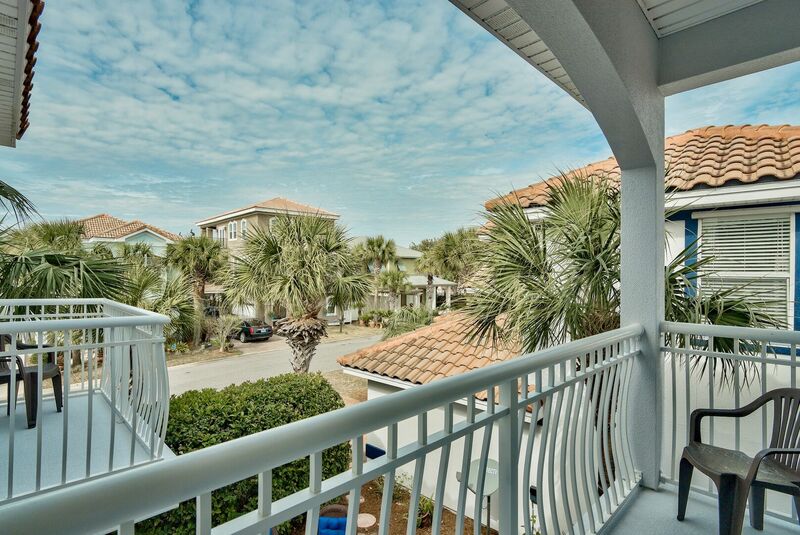 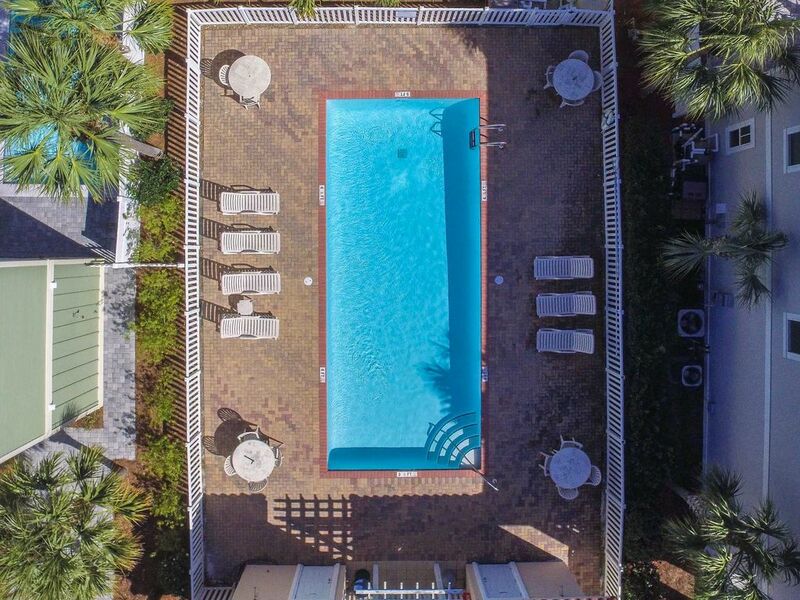 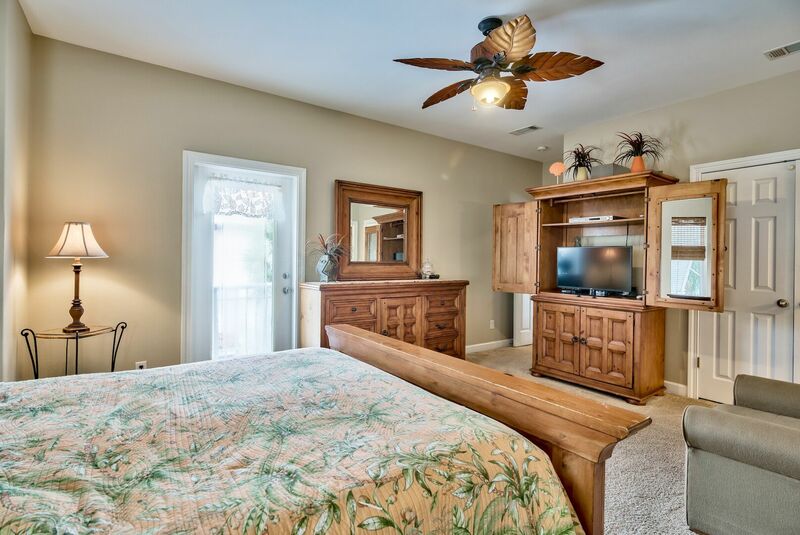 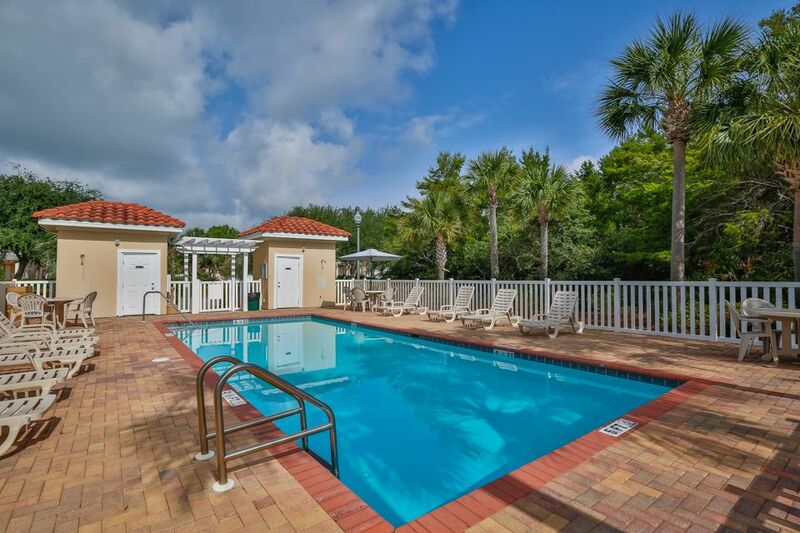 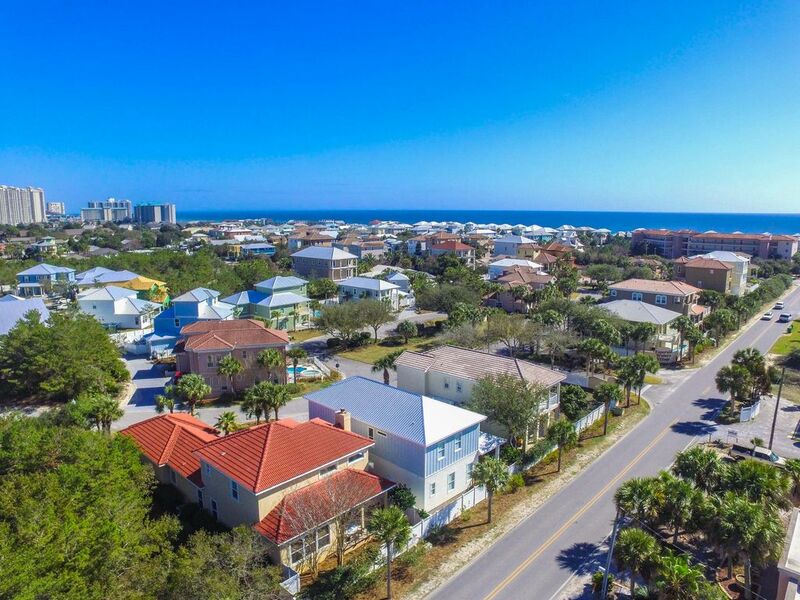 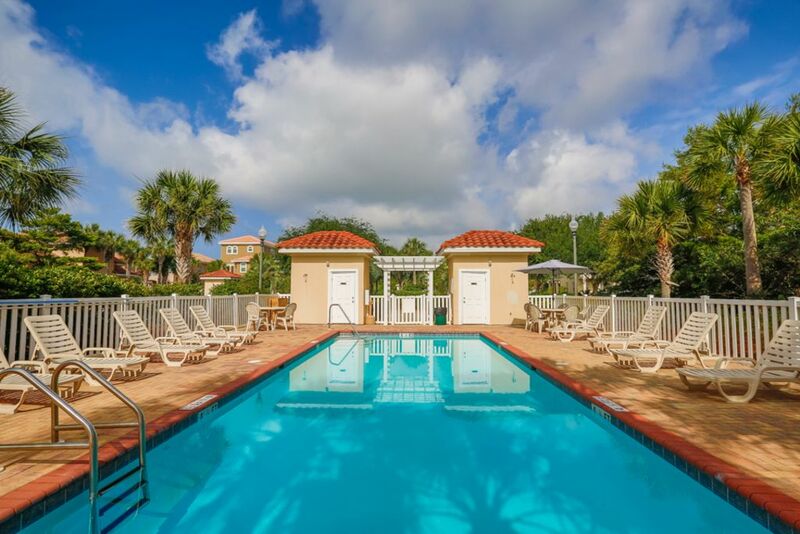 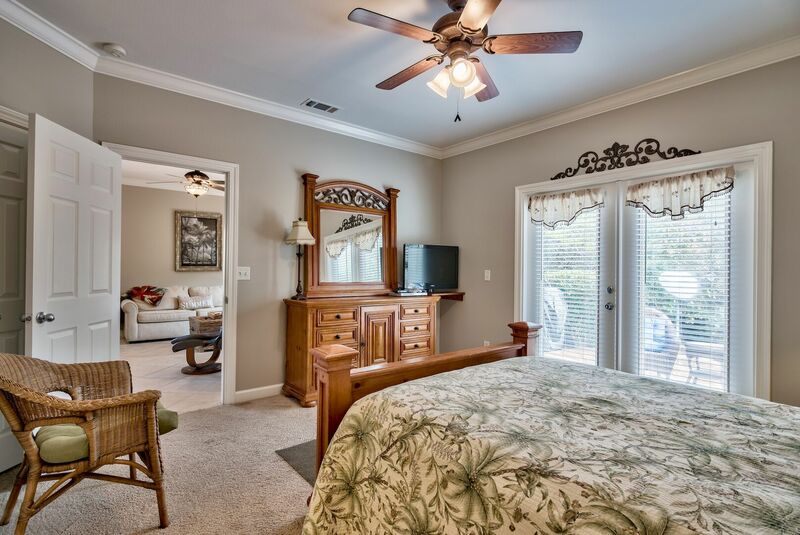 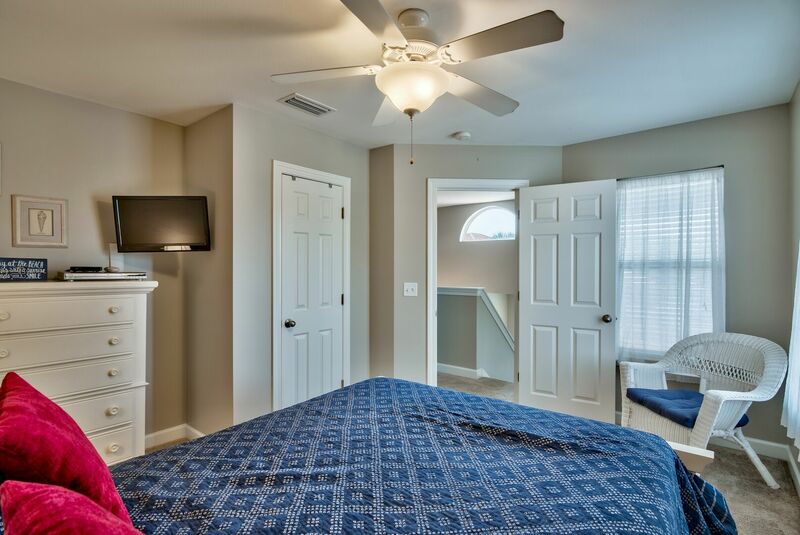 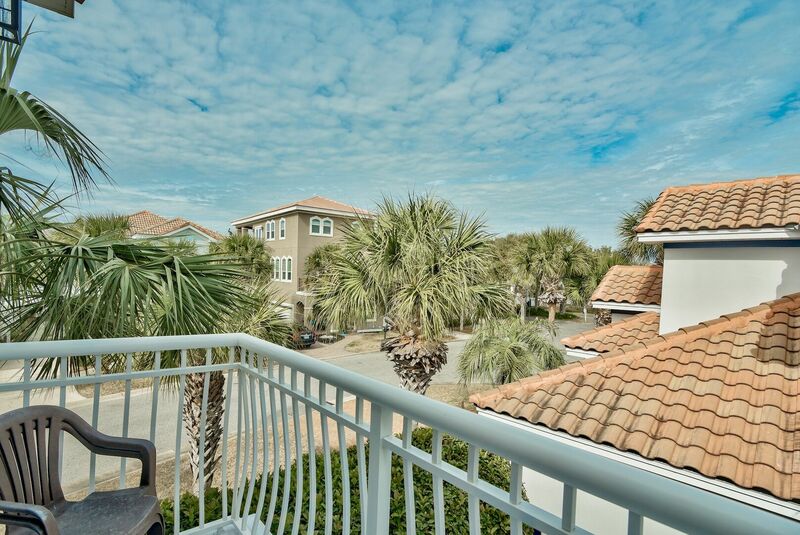 Each of the bedrooms comes with a private balcony with luxury seating, allowing for you to view the sunset, sunrise or the beautiful landscape that is Destin!